Early Order Christmas Selection Catalogue - Out Now! Adventa's 2018 Christmas Early Order Selection Catalogue Is Available Now! To view all 24 pages of our new Christmas 2018 catalogue click here. This early selection catalogue is full of exciting new photo Christmas decorations and gift stock lines as well as a whole range of unique and novel Christmas gifts available to order with a minimum order requirement. Guarantee your stock for this Christmas now - don't miss out! If you order by the 27th April 2018 any of our liquid filled shaker picture frames and snow domes you will receive 5% off, applicable to orders being delivered after 1st September 2018. Order Now. The great selling My Santa Story themed collection has expanded its range with the addition off the new Dome picture magnet & Frame and a refreshed novel photo Door Hanger designed to increase appeal. The new Dome Magnet & Frame both feature a clear resin frame which light reflects beautifully off making the fun Elfie Selfie print jump out. 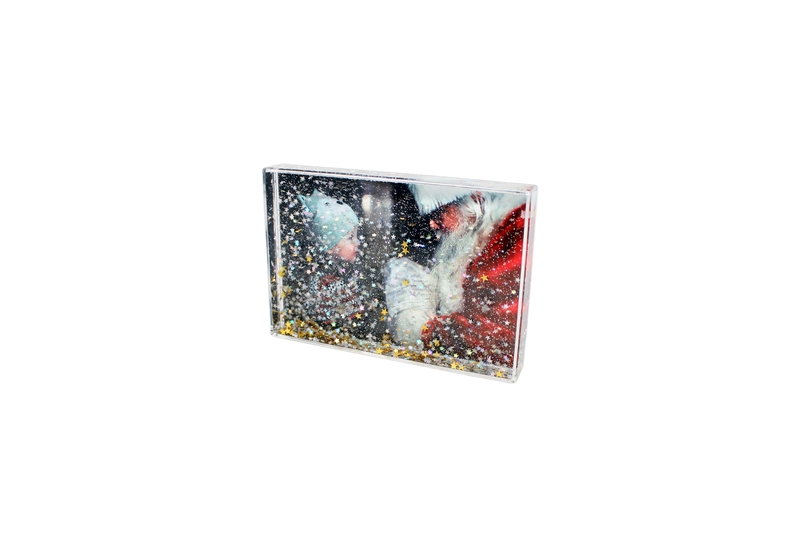 With a bright eye catching finish the magnet will add a touch of festive fun effortlessly to any fridge whist the frame will stand proudly on a shelf or desk. Also revised and now fully lauched is our Light-Up frame after an initial successful launch last year we have since enhanced the design with even more appeal and an even more twinkling light sequence. Lighting up with over 45 lights this festive frame has proven success history! 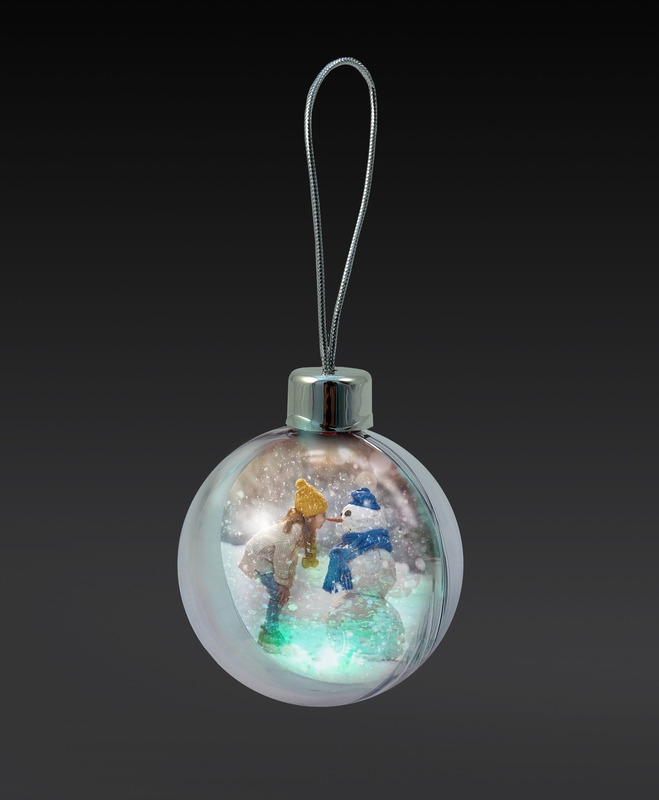 To complement and bring to life our existing bauble range we are launching the new Light-Up Bauble Cap. This clever bauble cap features a flickering of attractive coloured lights to help light up photos on a tree. Just order this special cap along with the bauble of your choice. For children and adults alike we also have the new cute Teddy Bear, coming with a cute Certificate of Adoption for children to personalise and use. This soft fluffy toy holds a velcro attached red festive frame which enables a slide in classic sized photo. A soft velvet Santa's hat sits proudly on his head. It is sure to light up the eyes of little ones this coming Christmas. We also have a range of very attractive Christmas products in our special range. Though a minimum order requirement and lead times do apply these products have been designed to make your life easier and your sales higher. Our current Star Blox has had a makeover and with a new eye catching star mix this product can be ordered as a minimum of 1008 pieces (lead times 16 weeks). Also in our fun Shaker Picture blox frame range are the new Blue GlitterBlox and the Geometric GlitterBlox. Create a fun festive blizzard with these new safetycertified liqiud filled picture frames. To help bring our range of liquid filled products to life instore we have created an eye catching display unit also which helps spin the block around to show the shaker mix in action creating double impact in store! 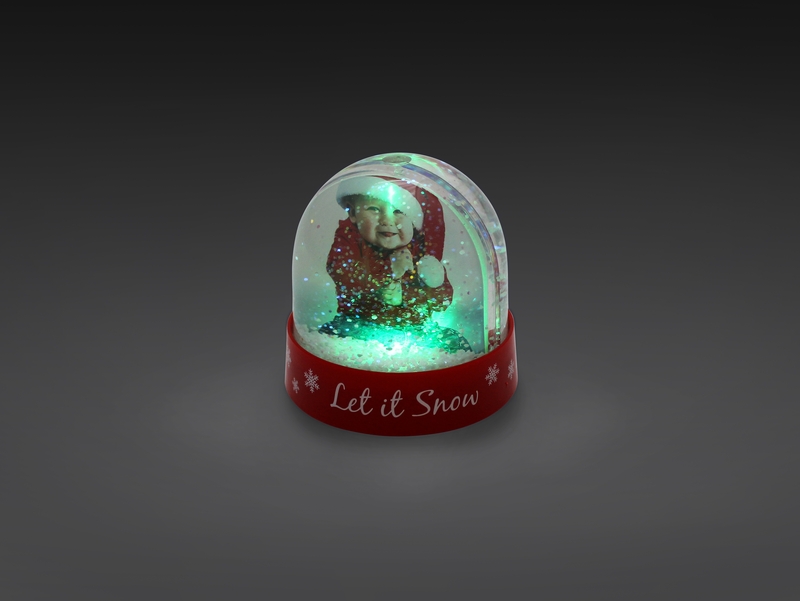 Bolstering our best-selling Photo Snow Dome range are the Glow Domes coming with 2 attractive printed bases these snow globes light up with colourful LED lights bringing the photo insert to life. The lights are activated by a simple switch button. It also saves energy with an automatic timer. Then we have the mirrored domes - they feature a light reflecting base available in gold, silver or popular on trend rose gold. View our Christmas 2018 catalogue to see all our product details and images.